Good food and good fellowship was in abundance at the 2017 Taste of Powell, held Thursday evening at the Columbus Zoo and Aquarium’s Water’s Edge Events Park. 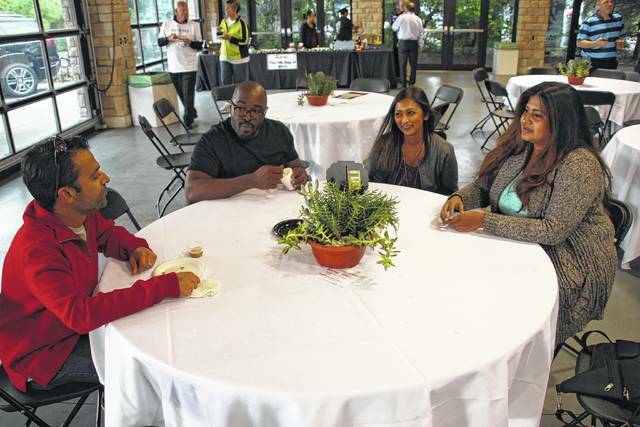 Sachin Parulkar, left, talks with Cyrus Fire, Shahela Parulkar, and Aarthi Gonela as they enjoy themselves in one of the pavilions at the park. Twenty-four vendors participated in this year’s celebration of the Powell area’s food and beverage tastiness.